• existing Residents’ Association boundaries would remain unchanged. 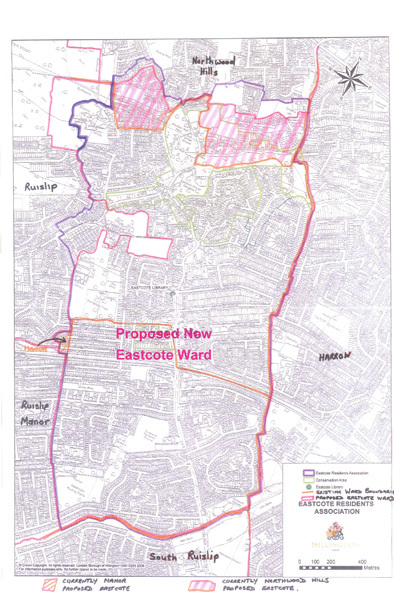 The Local Government Boundary Commission for England has recommended that most of Eastcote becomes one ward, with its conservation areas and shopping centre intact. This is currently only a proposal and the Commission may make changes depending on what replies they receive, so it is just as important to let them know that you like the new arrangement as it is to suggest changes.